As our regular readers know, The Amazing Blog loves ethically-sourced makeup inclusivity in the beauty world. Sampure Minerals, formed in 2009, combine both of those topics, to create an authentic all-natural, vegetarian, and Halal certified makeup line. Sampure Minerals, is the first Halal certified make up line in Europe, founded by two sisters, one of whom, Samina Akhter, who sought to provide Halal cosmetics to Muslim women in the UK: “We believe in harmony between people, and between human beings and nature.” Well bingo, so do we! Everyone should have access to quality make up that suits their skin type and colour. Sampure Minerals’ deluxe products range from face, eyes, lips to nails. They are also free from nasty ingredients, such as harsh chemicals, animal ingredients, mineral oil, paraben preservatives, and fillers. We tried their Flawless on The Go Set, in the fair complexion colourway, which is a perfectly sized 5-piece Mineral Starter Kit. The biggest advantage, these are small enough to pack away even in the teeniest clutch bag. The starter kit is available in three shades: Fair, Fair-Medium and Medium. The set comes with a foundation 2.5g, setting powder 1g, mineral bronzer 1g, mineral blush 1g, and mini kabuki brush. Additionally, it has natural sun protection SPF 15 and anti-inflammatory properties that do not clog pores, allowing the skin to breathe, which also makes the product ideal for acne prone and sensitive skin. It felt luxurious to apply the delicate powders, which set quickly and proved to be very long-lasting. Our favourite item is the blush, which we tried in the colour Blossom. Throughout the day, it gave our cheeks a wonderful, healthy glow. What we particularly liked about this set is that it is Halal, vegan and vegetarian certified, and cruelty-free. The Flawless on The Go Set should last you up to three months with regular use, a little really does goes a long way. 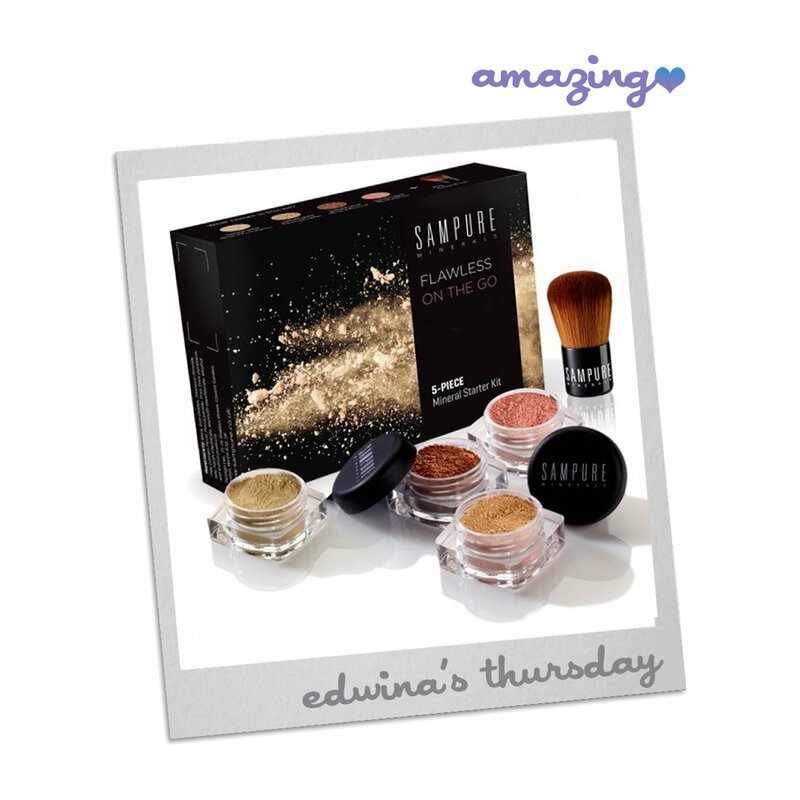 If you would like to purchase Sampure Minerals’ Flawless on the go set for £19, click here.